J. T. Rogers's "Oslo" an against-the-odds story of international peacemaking, is undeniably a big play, as expansive and ambitious as any in recent Broadway history. Whilst set against a sweeping historical landscape, Rogers' story is deeply personal, inspiring and surprisingly funny. It centers on Norwegian sociologist Terje Rod-Larsen and his foreign diplomat wife Mona Juul, two seemingly normal people who would become the quiet heroes of the Oslo negotiations. 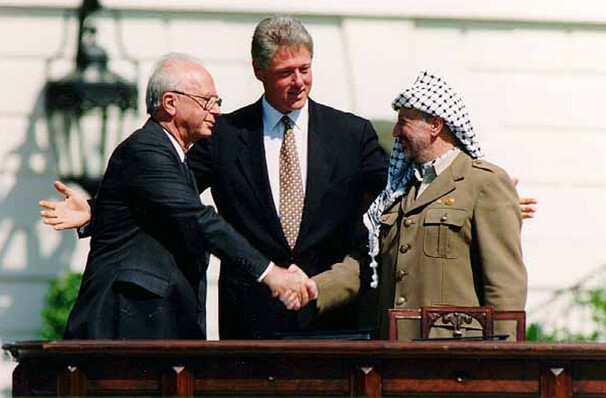 Able to bring people together in secretive back-channel manoeuvresc, Terje and Juul facilitated high level communications with the Norwegian Prime minister and what began in a castle in a forrest outside of Oslo ended in a symbolic handshake between Israeli Prime Minister Yitzhak Rabin and Chairman of the Palestine Liberation Organization Yassar Arafat. Seen Oslo? Loved it? Hated it? Sound good to you? 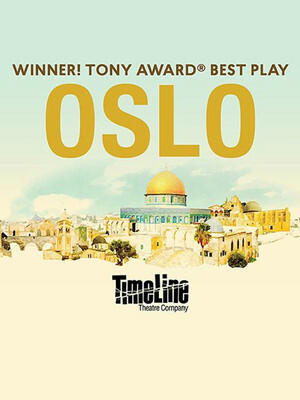 Share this page on social media and let your friends know about Oslo at Broadway Playhouse. Please note: The term Broadway Playhouse and/or Oslo as well as all associated graphics, logos, and/or other trademarks, tradenames or copyrights are the property of the Broadway Playhouse and/or Oslo and are used herein for factual descriptive purposes only. We are in no way associated with or authorized by the Broadway Playhouse and/or Oslo and neither that entity nor any of its affiliates have licensed or endorsed us to sell tickets, goods and or services in conjunction with their events.